Summer is practically here! The last thing you want on your mind while you are on vacation is your home. If your home is in need of some TLC because of some neglected or abandoned repairs, renovation ideas or something else, there’s no time like the present for you to get started on them so they can be done by the time you leave for vacation. Check out some areas of concern that you should consider taking care of by hiring a professional handyman or home renovation team. When was the last time you looked at the walls inside of your home and thought I’m in love? If you can’t recall, then it’s probably a good time for you to consider having some interior painting done. You should not live in a home where the color of the walls keeps you from enjoying atmosphere inside. Although the walls may have neutral tones, you should give them a little personality with some color. Painting is a big deal. It is not as easy as it looks on television. It also requires a good deal of preparation and effort to ensure that it is done right. If you’re not willing to commit to the task yourself, you should hire a professional home renovation team that does interior painting. Many people tend to neglect their doors and windows. If they don’t appear to be damaged or broken, there’s no need to replace them, right? Wrong! The doors and windows on your home are not indestructible. They are not designed to last forever. You can’t always look at them to know if they need to be replaced. But, if you notice that there are drafts when it cool outside and that your energy bills are higher than they should be, there’s a good chance that it’s time for you to replace your doors and windows. When it comes to replacement, don’t just go with the same old doors and windows again. Explore the options that can improve your home’s look and efficiency. Some options can also provide extra security which is always a plus. Don’t take the task of door and window replacement lightly. Make sure you hire the right home renovation team to properly install them for you! Summer is the perfect time for you to spend some time outside. Whether you want to soak up the sun or lounge in some shade, adding a sunroom onto your home can allow you to relax outside the way you want. Sunrooms can help boost your home’s value. It doesn’t matter if you plan to sell in the near or distant future, a sunroom is a useful renovation that you will enjoy. If you are not sure if a sunroom is right for your home, there’s nothing wrong with asking your home renovation team for their input. They are experts at what they do and can help you to realize your dream of having a sunroom. Maybe you’re not too excited about having a sunroom. 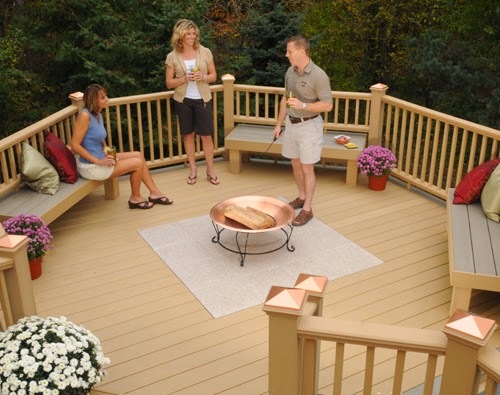 Maybe you’re more interested in adding a deck or pergola. No matter what type of renovations or additions you’re interested in, a home renovation team can point you in the right direction. They can evaluate your property and help you to find ways to improve it so that it increases in value and personal appreciation. To get a jump start on your home improvement and renovations, contact the professionals at American Renovation Services by calling (615) 356-6662. We can handle all of your remodeling and repair needs!